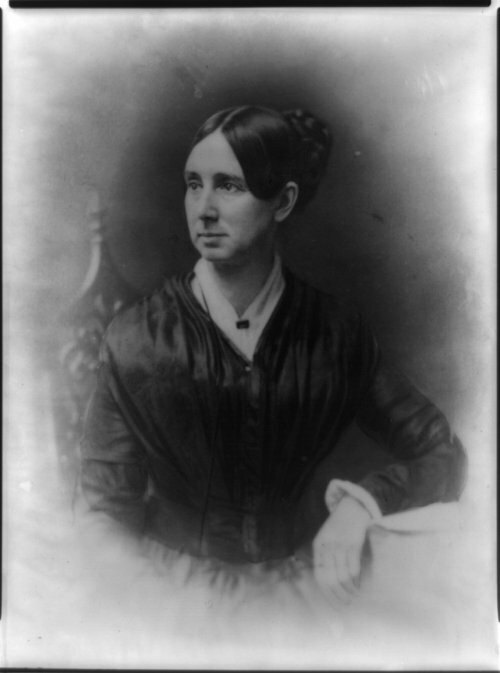 Dorothea Lynde Dix, daughter of Mary and Joseph Dix, was born in the tiny village of Hampden, Maine, on April 4, 1802. Her father, an itinerant preacher and publisher of religious tracts, had married much against his parents' wishes and had left their home in Boston to settle on what were then "wilderness lands" in Maine, owned by his father, Doctor Elijah Dix. Joseph, an alcoholic, was away from home much of the time on his circuit riding duties. His wife, Mary, suffering from depression, unable to cope with the daily problems of an impoverished existence, created a cheerless home for little Dorothea and her brother, Joseph, four years her junior, and the baby, Charles. Dorothea had to sleep on the attic floor of their small cabin. From the time she was old enough to hold a needle, Dorothea had to sit all day pushing a difficult needle through heavy folded paper stitching religious tracts for her father to sell. Almost the only bright spots in Dorothea's early life had apparently been the visits with her beloved Grandfather Dix. He was murdered when she was only seven years old; yet memories of those good times never faded. Her parents moved away from their home in Hampden only to exchange it for another just as drab in Worchester, Massachusetts. At the age of twelve, Dorothea's grandmother, whom she is named after, agreed to Dorothea coming to live with her in Boston. The senior Mrs. Dix, well along in years at the time, was stern and demanding. Nevertheless she took her young granddaughter in and saw to her education and training. Dorothea was an avid reader and a fast learner. While she was living for a time with a great aunt in Worchester, at the age of fourteen, Dorothea opened her own school for small children. She established a reputation as a capable teacher and a strict disciplinarian. At the age of nineteen in Boston she opened a more formal school for older children in a building on her grandmother's property. There was no lack of students. Her devotion to her work caused a beau, whom she planned to marry, to turn away from her. It was too "unlady-like", he said. He married someone else, breaking Dorothea's heart. She never became involved with a man again and gave all her love to society's outcasts. Although Dorothea's health was not robust, the young teacher never let up in her work teaching or writing children's' books. She gradually made acquaintances throughout Boston's religious and intellectual community. The school gave Dorothea a source of income that allowed her to support her now widowed mother and to bring her two brothers to Boston to live. However, Dorothea suffered from intermittent attacks of what was then termed "lung trouble" and depression. She collapsed completely in 1836 and her school was forced to close. Throughout most of her life, sheer energy and determination seemed frequently to overcome the illness caused by her tubercular condition. Later that same year, having partially recovered, she sailed for Europe to get a complete rest and recuperate further in the warm Italian sunshine. She never made it to Rome. Upon arriving in England Dorothea fell ill again. She was fortunate to be taken care of by kind English friends, William Rathbone III, who nursed her back to health. Mr. Rathbone, a humanitarian, entertained a number of well known persons such as Elizabeth Frye, a prison reformer, and Samuel Tuke, proprietor of the York Retreat for Mentally Disordered. There Dorothea learned new theories of caring for the insane, such as moral treatment, seclusion from family and society, less use of mechanical restraints, and useful tasks to keep the patients busy. Both her mother and grandmother died while Dorothea was in England. 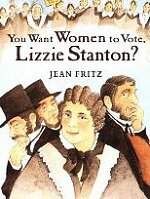 When she returned to Boston in 1838 she found her way of life had significantly changed. Her grandmother had left her with a comfortable independent income. For the next few years she slowed her pace, visiting with friends and traveling to various resorts and points of interest. Sunday, March 28, 1841 was a raw cold day in Boston. 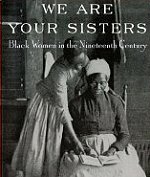 Dorothea had volunteered to teach a Sunday School class of twenty women inmates at the Cambridge, Massachusetts jail. After the lesson was over, she walked through the prison with strong objections from the jailer. Dorothea went down to the lower level of the building. They were called the dungeon cells where insane were chained. She saw miserable, wild and stuporous men and women chained to walls and locked into pens-naked, filthy, brutalized, underfed, given no heat, sleeping on stone floors. It was this visit that started Dorothea on her life's work to improve conditions for the mentally ill. At once she started a campaign to have stoves placed in the cells and to have the inmates fully clothed. She found she had to fight every form of prejudice without letup, but in the end she did succeed in her objective. By that time, Dorothea had determined to study first hand conditions for the insane throughout the entire state of Massachusetts. Unobtrusively she began to travel from county to county, gathering evidence to present to the Massachusetts Legislature as the basis for laws to improve conditions. From her home state, she traveled on to other New England states and finally over the entire nation as it then existed. Through the centuries, superstition, fear and a total lack of understanding of the nature of mental illnesses and of any effective methods for their treatment found the mentally ill almost universally avoided. 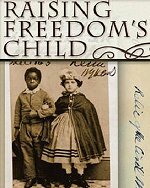 They were locked up at home or in local prisons or poorhouses  often under conditions worse than those for the criminals who might be confined with them. The popular wisdom was that they had ceased to be fully human. It was broadly accepted, for instance, that the insane were completely unable to feel extremes of temperature so that it was thought to be unnecessary to protect them from either heat or cold. In the early nineteenth century in many communities, the indigent, the mentally ill, the able-bodied poor, and the orphans were all lumped together in "almshouses" or "workhouses". The indigent insane and feebleminded usually lived under the most socking conditions of all. Some communities actually placed their "paupers" on the auction block. 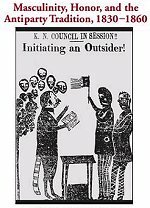 Leasing, in effect, "their weak minds and strong bodies" to work for the bidder who made the most attractive offer to the town or county. 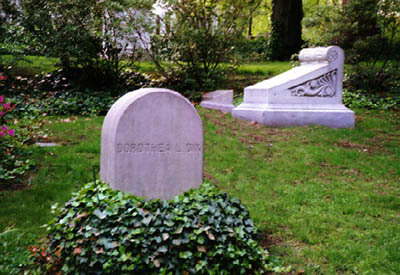 Dorothea Dix traveled thousands of miles from state to state - by train, coach, carriage and river boat - always systematically gathering facts which she could use to try to convince those in authority of the need of improvement in the care of the mentally ill. After seeing for herself, she would present a "memorial" to the state legislature with her concerns in which she described conditions as she found them. Dorothea would enter an urgent plea for the establishment of state-supported institutions. She would actively lobby for passage of the bill, looking for sponsors and trying to win over the often large numbers of persons who opposed such legislation. The first state hospital built as a result of her efforts was located at Trenton, New Jersey. Interrupted by malaria and suffering from poor health, Dorothea continued in her life's ambition of trying to improve the lot of the mentally ill worldwide. In the 1850's she carried on her work in the British Isles, France, Greece, Russia, Canada, Japan and in the United States with hospitals being established in those locations. Returning to the United States she sent a memorial to the U.S. Congress recommending setting aside 5,000 acres in trust with the income to be used for the indigent mentally ill. Both houses approved the bill but President Pierce vetoed it. Eventually though a U.S. hospital, St. Elizabeth's, was established in Washington, DC for the mentally ill.
With the outbreak of the War Between the States, she was nearly 60 years old. 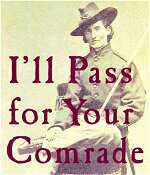 Dorothea volunteered to form an Army Nursing Corps. 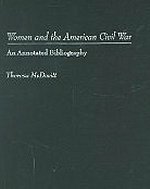 She was made Superintendent of Nurses for the Union Army. Though in poor health, she missed not one day's work. She organized hundreds of women volunteers into a nursing corps, established and inspected hospitals and raised money for medical supplies. This proved to be a period of struggle and frustration for her in getting women's' roles in medicine recognized. Not long after the war, she resumed her travels once again, actively aiding in the rehabilitation of facilities in the southern states which had been neglected or damaged during the war. The years passed and the crusader's work never slowed until she fell ill in 1881. At the age of 80, she retired to a private apartment set aside for her at the New Jersey State Hospital, the first of the hospitals that she had planned from the ground up. As an invalid during the last six years of her life, she continued to write letters from her bed to support her crusade for the mentally ill. She remained there until her death on July 17, 1887. A rich new perspective on the events leading up to the Civil War and will prove an invaluable tool for understanding the central crisis in American politics.